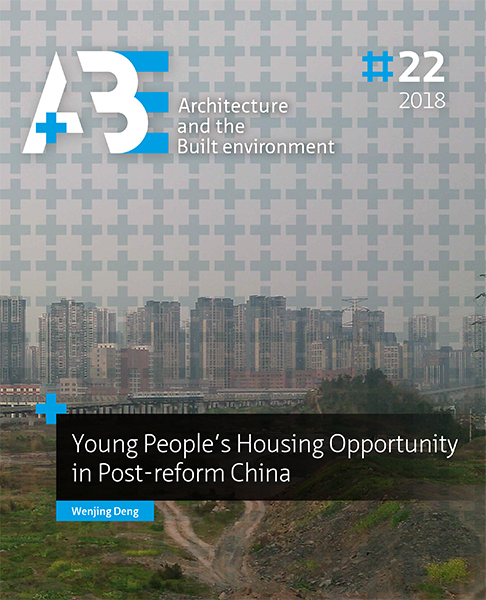 This thesis studies housing opportunities in post-reform China for young Chinese adults (aged roughly from 25 to 40). The term ‘housing opportunities’ embraces the key factors affecting individuals’ access to housing services and assets. These factors determine the extent to which one person can transform his or her efforts into better housing outcomes in a certain institutional setting. The aim is to identify these factors and understand their interrelations against the background of China’s changing institutions and market reforms. In so doing, this thesis seeks to elucidate the interaction between various institutions and housing. DENG, Weijing. Introduction. A+BE | Architecture and the Built Environment, [S.l. ], n. 22, p. 29-50, dec. 2018. ISSN 2214-7233. Available at: <https://journals.open.tudelft.nl/index.php/abe/article/view/3522>. Date accessed: 26 apr. 2019.